A handful of nominees for the new EU executive could find themselves under fire over past associations with Communism, after the centre-right in the European Parliament indicated it will take a tough line on the issue in upcoming hearings. The European People's Party - the largest grouping in the chamber - said in a declaration last week that nominees "must under no circumstances have been associated with oppressive regimes and must not have participated in non-democratic governments or political movements." The statement has been widely interpreted as meaning the EPP will try to block former Communists or Communist sympathisers from joining the EU executive when MEPs vet candidates next year. It is unclear where the EPP will draw the line. Centre-right MEPs have said they will not start a "witch-hunt" over youthful experiments, with Jose Manuel Barroso, the conservative European Commission president, himself a one-time Maoist and a leader of the underground Communist Party of the Portuguese Workers/Revolutionary Movement of the Portuguese Proletariat (PCTP/MRPP). The proviso may also exempt the EU's new centre-left foreign minister, Catherine Ashton, who was in the 1970s and 1980s a member of the Campaign for Nuclear Disarmament (CND), became its treasurer in 1980 and represented the group at Communist Party meetings, according to a recent report in the right-wing Daily Mail newspaper. Ms Ashton has been forced to defend herself following allegations that the Kremlin bank-rolled the CND. Prague's former Europe minister, Alexandr Vondra, has called for an investigation. Czech MEP Hynek Fajmon, who sits with the UK-Tory-aligned European Conservatives and Reformists grouping in the parliament, said: "Everyone knows that the Kremlin supported CND. It was the fifth column of the Soviet Union in the West." Her spokesman, Lutz Guellner, said that Ms Ashton's time as an anti-nuclear campaigner was merely a youthful indiscretion: "Like any young person in the late 70s, Ms Ashton was involved in the big campaigns of the time." "During her time in CND, she never visited the Soviet Union. She had no contact with the Soviet Union and never accepted any money from Soviet sources," he said. "She has never been a member of the Communist Party." 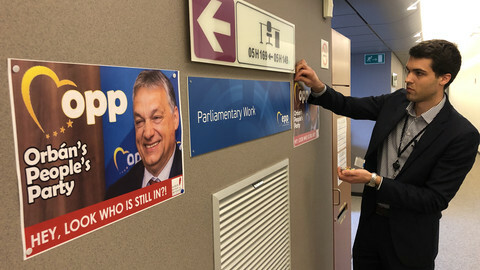 The Hungarian nominee, Laszlo Andor, may also attract EPP attention, with Euro-deputies from Fidesz, Hungary's right-wing opposition party, having said that he is "unacceptable." Mr Andor was an anti-Stalinist socialist, who, according to one Hungarian diplomat, was once close to the Hungarian Communist Party but was never a member. Currently an economist and board member of the European Bank for Reconstruction and Development, he remains a committed leftist and is editor-in-chief of Eszmelet (Consciousness), which right-wing daily HetiVelasz describes as a "neo-Marxist" periodical, but which Hungarian diplomats describe as "more like Le Monde Diplomatique," the left-wing French newspaper owned by Le Monde. But it is not thought that Fidesz will attack Mr Andor as keenly as it did his predecessor, former Communist official Laszlo Kovacs, as it risks undermining Hungary's chances at a decent portfolio. Meanwhile, the Czech Republic's nominee, Stefan Fuele, who is currently the country's European affairs minister, was once a member of the Communist Party of Czechoslovakia, as was Slovakia's nominee and its current commissioner, Maros Sefcovic. The pair were students at the prestigious Moscow State Institute of International Relations (MGIMO), the diplomatic school of the Russian foreign ministry. In Soviet times, admission to the MGIMO was largely reserved to children of party members and "approved cadre." There has been some mention in the Czech press about the school being a KGB "incubator." But this was denied by one 1980s alumnus who knew Mr Sefcovic as a student. "It was a school for the elite, sure, and students came from the Communist camp, but it was no 'spy school.' It was for future diplomats, journalists, economists, lawyers, not spies," the contact told this website. Mr Fuele and Mr Sefcovic joined the Communist party because they wanted to become diplomats, not for ideological reasons, Czech and Slovak commentators said. The Greek nominee, Maria Damanaki, was a member of the Communist Youth while a student in the 1970s and took part in the Athens Polytechnic uprising against the military junta. She was arrested and tortured by the regime. From 1977 to 1993 she was an MP first for the Communist Party and then with Synaspismos, a non-Stalinist far-left party. She later resigned and joined the mainstream Panhellenic Socialist Movement (Pasok), where she sits on its left wing and works on education and culture. Estonia's nominee and the current administration and anti-fraud commissioner, Siim Kallas, was a member of the Communist Party of the Soviet Union from 1972 to 1990. He went on to become a free-market liberal and the country's prime minister in 2002, later installing Kremlin-wary officials in key places in his Brussels team. 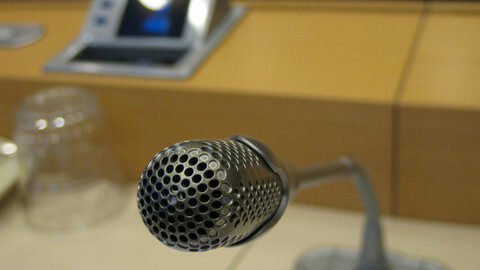 The parliament will hold hearings with the 26 commissioners starting 11 January. The entire college, along with President Barroso, will then be subject to a vote in plenary, probably towards the end of the month. "There is a lot of posturing going on. 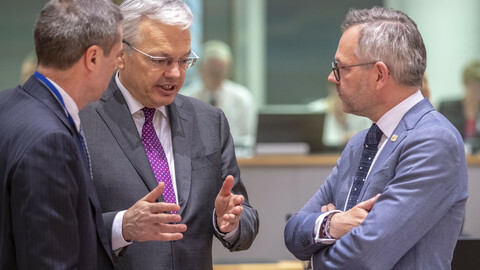 We should make up our minds on the basis of people's individual performance capacity and quality," a spokesman for the EU parliament's centre-left faction, Armin Machmer, said.